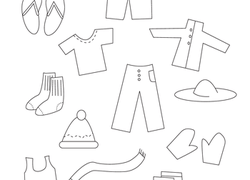 Life learning coloring pages and worksheets are all about engaging in the wonder of everyday life. 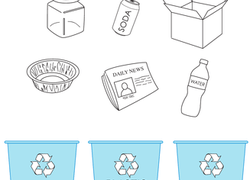 These coloring pages feature different careers, hobbies, inspirational quotes, and more. Browse through these pages to celebrate the beauty in the day-to-day with these life learning coloring pages. Colour in this page of a boy brushing his teeth before bedtime, something you should do every night. Some of the most delicious foods are also the most healthy for us! Inspire your little one to love her fruits and veggies with a healthy foods coloring page. Covering your sneezes and coughs helps prevent the spread of colds and flu, so we can all spend our sick days having fun. With this coloring page, encourage your children to eat a wide variety of fruits and vegetables in an array of colors. It's a pyramid fit for a pharaoh's feast! Your child can learn from this pyramid coloring page as he identifies food and adds colour. This doctor coloring page featuring tools doctors use will help your child grow familiar with some common medical instruments. 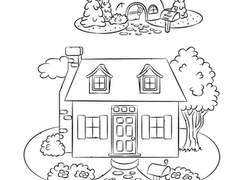 Help your kindergartener learn his home address and think about why it's important with this cute coloring page. Inspire an interest in eating healthy with this coloring series about the food groups. This one is about fruits, which come chock-full of vitamins. What's a good way to make sure your hands are washed completely? Learn in this coloring page. Got an eye for "E"? Help your little one practise her ABC's with a fun coloring page, full of letter E's for her to find!